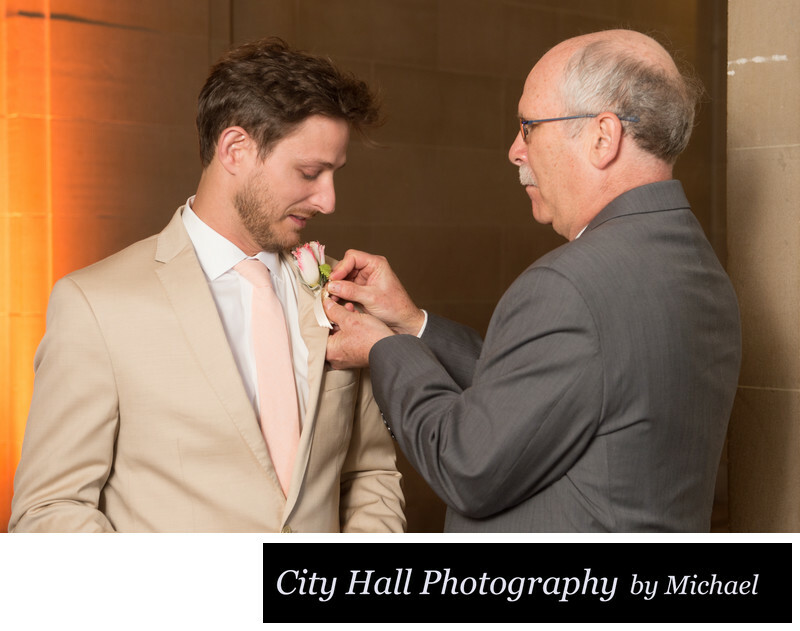 Dad and groom pinning on boutonniere flower before ceremony - Angela and Michael's City Hall Wedding Gallery - Downtown Reception. People always talk about mother and bride and the special relationship they have. While it is true that there is always a close bond between mom and daughter, the Dad and groom relationship is also worth mentioning and recording in pictures. In the photo above the groom is helping his dad with his flower and they are sharing a nice moment. Good documentary photography captures moments and gives us an emotional response when viewed.